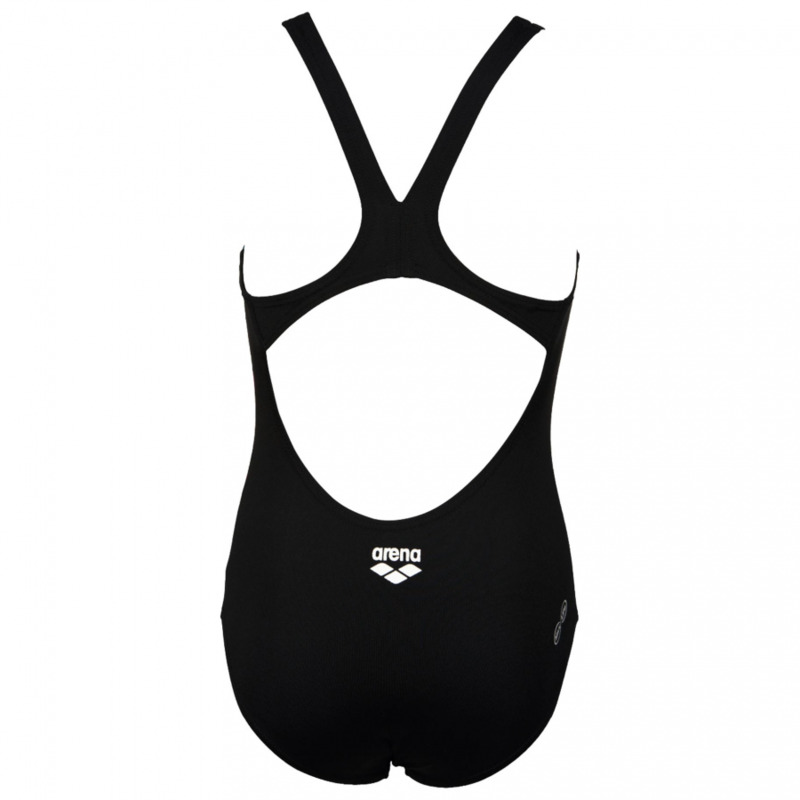 The Arena Babble black swimsuit takes its pattern design from the Arena name. 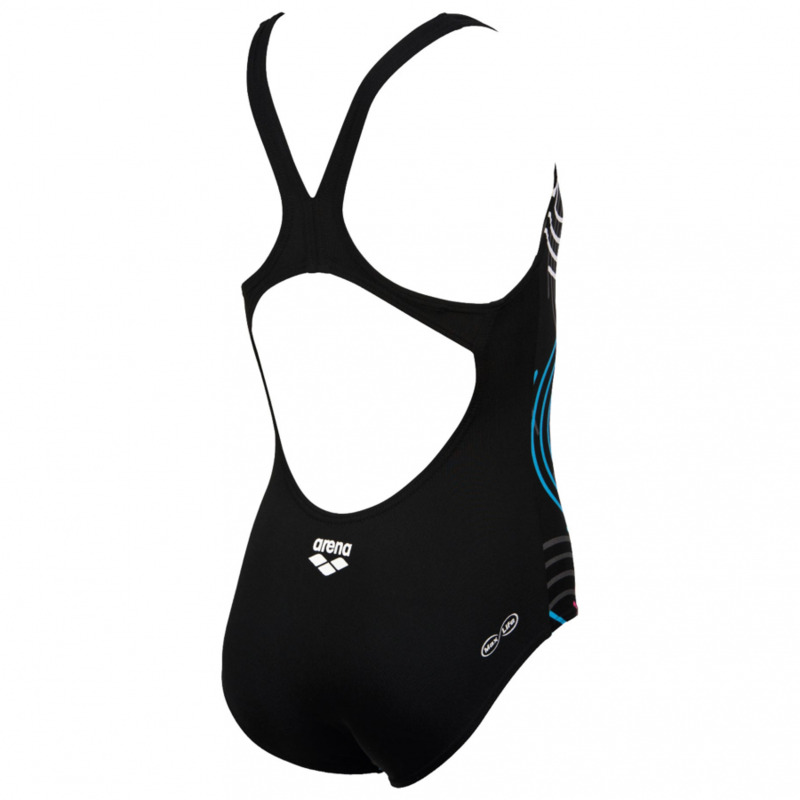 This swimming costume has a snazzy design on the front and a plain back. The ‘Swim Pro’ style back is athletic and the strap structure allows a full range of movement which is extremely comfortable. 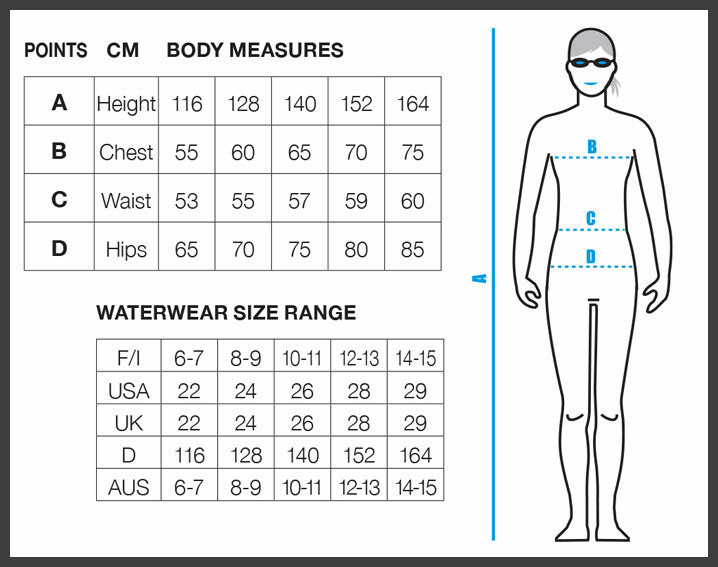 The Babble swimsuit is manufactured using Arena’s MaxLife material which is 46% pbt and 54% polyester. This mix of materials creates a durable swimsuit which is a great fit and retains its shape over use. This makes it a great choice for the regular swimmer. MaxLife is chlorine resistant and also provides excellent UV protection.